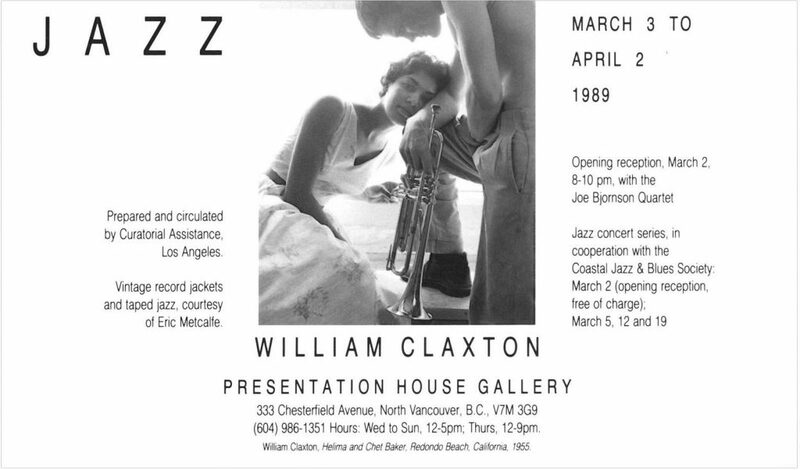 Prepared and circulated by Curatorial Assistance, Los Angeles. 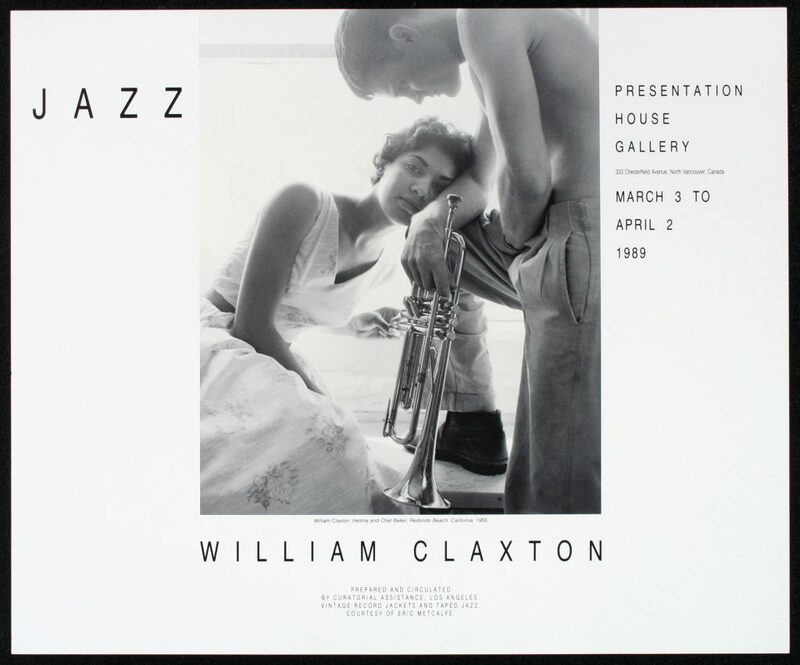 William Claxton is infamous for his extraordinary photographs of the international jazz scene during the 1950's and early 60's. He befriended and took portraits of all the Jazz greats including Billie Holiday, Ray Charles, Duke Ellington, Chet Baker, Charlie Parker and many others. Vintage record jackets and taped jazz, courtesy Eric Metcalfe. Accompanied by a book by Twelvetrees Press, Los Angeles.